Elements Applied: Plant twigs, leaves and inner part of the bark are applied in herbal medicine. Used For: The remedy is applied for helminthes. It is effective in treating diarrhea, and inducing urination. To cure urinary tract diseases and kill bowel helminthes leaf tea is applied. 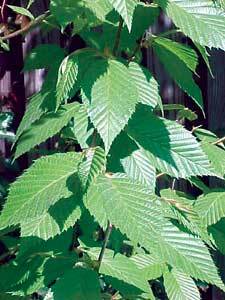 The inner bark is applied as tea for mouthwashes, and is also used orally for boils, rheumatism, and diarrhea. It is also applied for mouth sores (canker). Additionally it serves a good aid in bladder and kidney conditions, especially for stones. It acts as a blood cleanser. It is added to beer, as well. Its oil is equal to wintergreen oil in its properties, and is taken from twigs and inner bark. Additional Info: Black birch can reach 60-80 feet in height. Its twigs and bark smell similarly to wintergreen. When the tree is young its bark is brown-colored, then gray and has horizontal stripes. When the tree is of older age, the bark has random cracks. The leaves are ovate-shaped and alternate. Male trees are characterized by flowers, which have 3 inches in length. Female flowers are smaller and appear at the end of spring. Male ones are commonly seen in autumn. Preparation and Intake: To make a decoction take 1 teaspoon of inner bark extract and fill it up with a cup of water. The common dose is 1-2 cups per day. In form of tincture the plant is taken in a dose of half a teaspoon.